Dead Cells is a fantastic roguelite metroidvania that exited Early Access this week with its 1.0 update. There’s a lot to know for new and returning players, so see this as a sort of beginners guide for the Dead Cells 1.0 update. 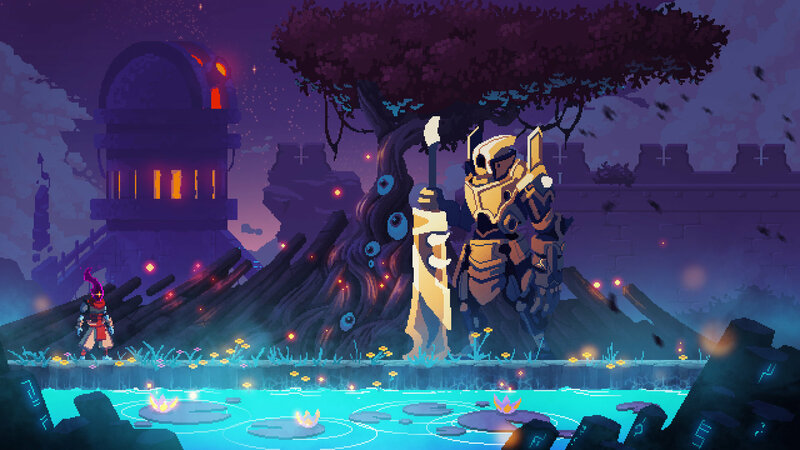 Keep in mind that Dead Cells is a very complicated game, there’s a lot to know and mastery of this title takes time, patience and a good bit of practice. Dead Cells plays fast. Like, really fast. When you first start the game your beginners sword is a quick and effective weapon. There’s a light stun attached to it meaning you will tear through room after room of enemies. Rolling is your absolute best friend in this game. It’s quick, it’s long, and its got a ton of I-frames. Rolling through doors when an enemy is close automatically stuns them, leaving them vulnerable for you to eviscerate. By holding down and pressing the jump button, you will hit the ground, stun and deal damage relative to your fall distance. This enables you to expand your combat potential by not relying on doors to stun and kill enemies. Always try to stun enemies as much as possible. Your starting loadout and moveset makes you the shocktrooper from hell, stunning and grinding down opponents room by room. Dead Cells keeps track of how much time you spend in its dungeons, marked above the map in the bottom right hand corner. There’s two ways to approach time in this game; either you spend your time clearing out rooms, or you try to rush through as quick as possible. Spending your time clearing every enemy is the safer option, as dead enemies don’t snipe you from different rooms, and the extra gold certainly helps. However, you don’t need to kill every enemy to guarantee good loot. 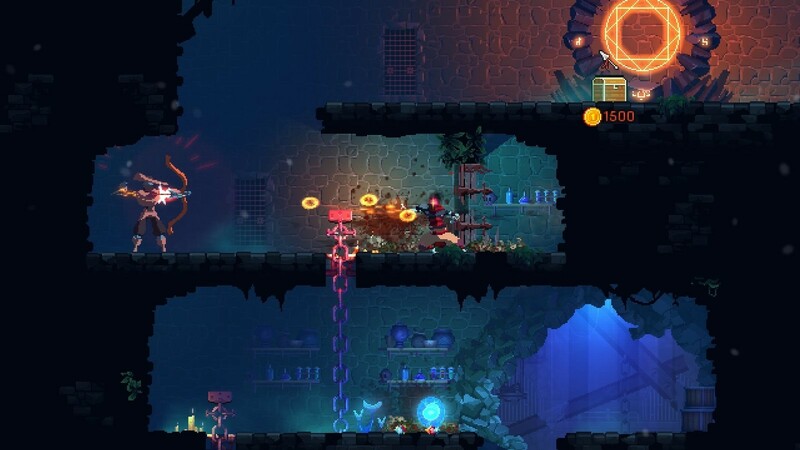 Dead Cells features time doors, which lock after a set amount of time. There’s usually great loot in these vaults, but understand that getting to them in time can be quite a challenge. Given that, the game generates a new dungeon every time, their location can be difficult to predict. Fortunately, the game stops recording time in shops, loot rooms and between maps. Long term progression in Dead Cells is done through the Cells system. What this lets you do is choose items, skills and upgrades to invest in, to unlock for later playthroughs. While it might be tempting to go for the cheapest items first as they yield the quickest results, go for the potion upgrades first. Maps get larger meaning you’re going to want more healing charges. Be careful with some of the random starting items. Some weapons have more advanced playstyles that might be complex for new or returning players. How you spend your cells affects how your future playthroughs go, so be wise. 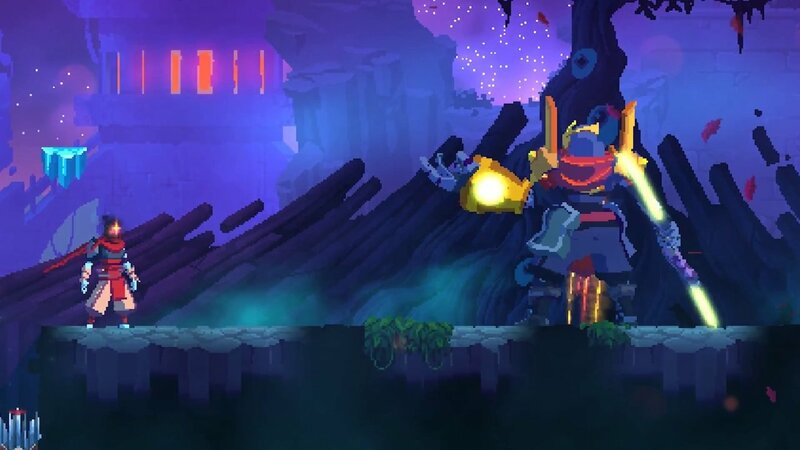 Finally, Dead Cells is a hard game. You will get shredded by a boss on his last phase (looking at you Concierge). You will die, many many times, and lose 30 cells to a zombie and want to break your controller. Stop. Breathe. Pick up the pieces and try again. It takes time and experience to reach an expert level. Daily challenges are a great way to learn enemies, weapons and tactics. Treat each loss as a learning experience, and make every wrong step a step in the right direction. With this philosophy, you’re set to dominate Dead Cells. With all that said, Dead Cells is an amazing title that you can pick up for cheap. It’s technical, complex, and very difficult. But if it wasn’t difficult, it wouldn’t be such a rewarding experience and such a great game. Previous articleShovel Knight Marks the Largest Case of Indie Representation in Smash Bros.